If you have configured EndNote and added the catalog as a search option, you can search the catalog from within EndNote. 1. In MERLIN, find the book you're interested in. 2. 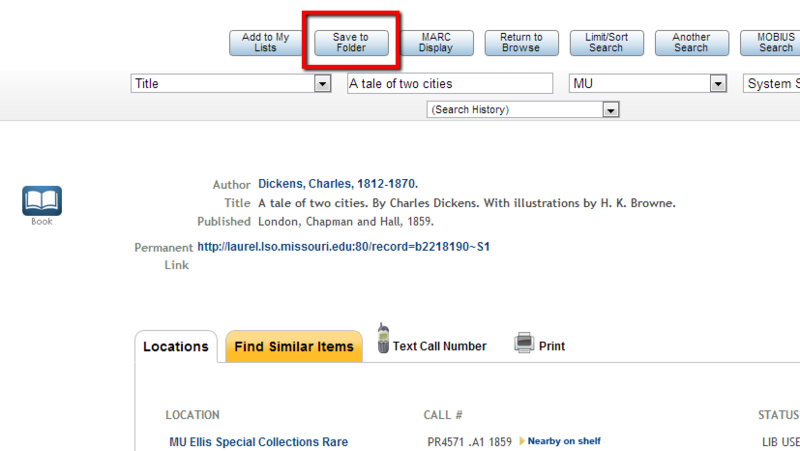 When looking at the screen for that particular book click the "Save to Folder" link. 3. Then, click the "view saved records" link. 4. Check the box(es) to the left of your item(s) and click "export saved." 5. Select "Endnote/RefWorks" for the format and choose "Local Disk" for where to send the list to, and click Submit.